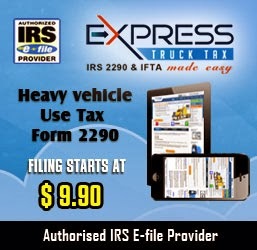 A common question our Support Team at ExpressTruckTax receives is how to handle the situation when a vehicle is transferred to another company during the tax year. Assuming the Form 2290 was filed and the tax was paid for the current year, you would need to file a new Form 2290 under the new business name and EIN. On the return, you will be able to claim the refund for the taxes that were paid under the previous business name and EIN. 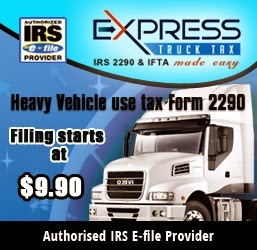 You will need to call the IRS directly and they will walk you through the process or you can have a service provider, like Truck Services of North America to do it for you. If a new vehicle is placed in service during the tax period, the first use month will be the month in which the vehicle was first used. If a vehicle was only used for part of the tax period, the tax will be prorated based on the number of months the vehicle was actually used. For example, if a vehicle was used on January 27th, it will be taxed as though it was used the entire month, regardless of the fact it was only used for a couple of days, and the tax will be based on 6 months, instead of the full year.